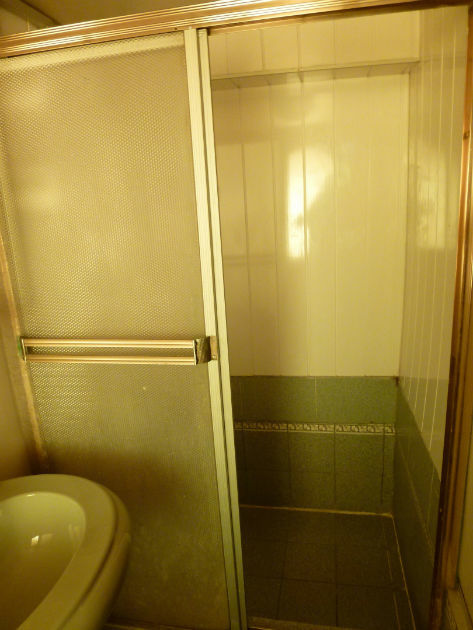 The private bathroom has a nice sized, step in shower. shower; it's bigger than the shower on most cruise ships, not to mention the showers on small yachts where the shower head is almost over the toilet. The hot water was somewhat inconsistent but as long as it was warm enough to lather the shampoo so I could wash my hair, I didn’t mind a cool shower at all. In fact I welcomed the cooler water. The air conditioning unit was very effective and kept the cabin temperature comfortable. It was very noisy but I used my ear plugs at night and the rattling did not bother me at all. 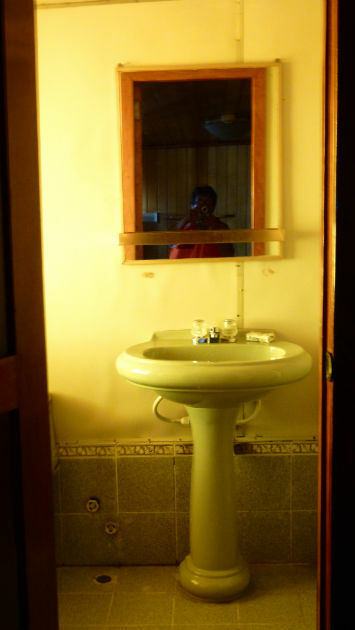 I quickly learned that I needed to close the door to my cabin before turning on the light to keep errant mosquitoes and other flying creatures to a minimum. I also used Cedarcide spray liberally on my arms and legs, and sprayed it on the bed sheets. It is an insect repellent made of cedar oil, strong smelling at first, but it also kept my hands and arms feeling soft and smooth. I ws happy I had no perfumed body lotions that would actually attract insects. Most of the time my cabin was largely mosquito free but unfortunately on the second last night, when we were in a particularly mosquito-rich area, one brave and probably famished, mosquito actually snuck into bed with me and munched his way across my back. In the morning there was a neat trail of red wheals, starting midway up the outer side of my right thigh, crossing my buttocks and heading down the outside of my left thigh. Sorry- no picture of the entire route but here is a picture of part of my leg! 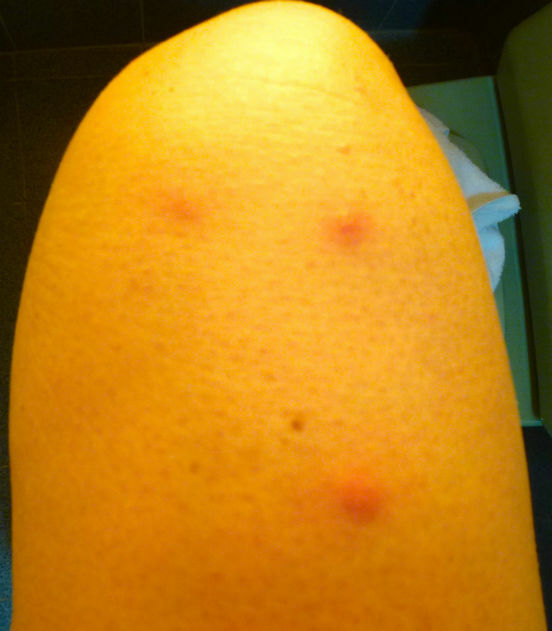 So despite my precautions I did get bitten a lot and as my skin has always reacted to insect bites by producing large red wheals, I was able to tell easily just how much I got bitten. But compared to my new friend Suzanne, whose leg on day 3, is shown in the other picture I was fairly well off bite -wise.